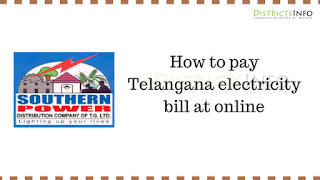 TSSPDCL Electricity Bill Payment Enquiry Online BillDesk: TSSPDCL Bill Payment Updated* TSSPDCL Bill Payment Online Telangana State Southern Power Distribution Company Limited Power Bill Current Bill Payment Pay Online TSSPDCL Telangana state government released TSSPDCL Official website To Pay current Bills Online Websites provides Easy methods and Easy Way To Pay Telangana Current Bill Online Thorugh Official Website. 1)Visit the TSSPDCL official website (Click Here). 8)After paying the bill kindly save the receipt For future reference After the bill payment doesn't forget to take the acknowledgment slip. 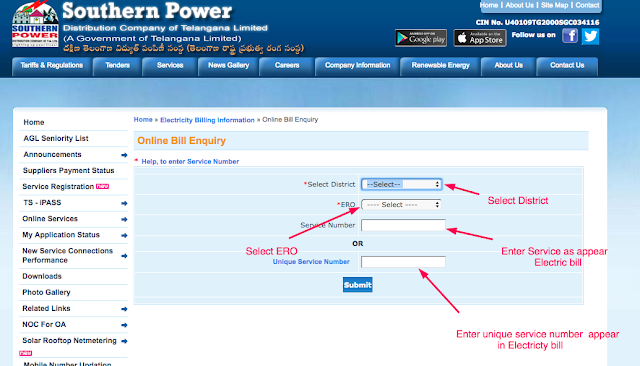 Here we are providing the information on how to check the Telangana electricity bill online.Most of the people with their busy work schedule they will tend to lose their electric bill.Not to worry, here we providing the following steps to check electric bill status online. 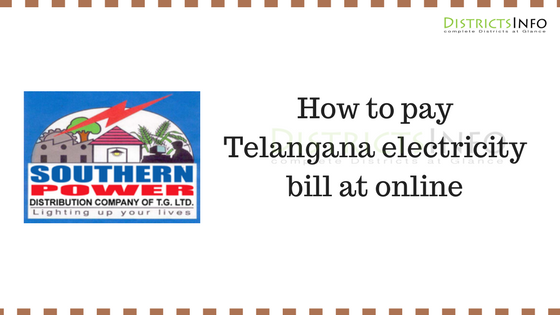 Below are the steps to follow to check the electric bill online. 3)Enter your Service number (or)Unique Service Number.If you don't remember that then check from the last month Electric bill. It will be on the Top position. 5)Then click on the Submit Button.It will show the Present Month Electric bill. There is the possibility of links getting disconnected, during the returning from the BANK, after successful debit from your bank. If this happens, DO NOT pay the bill again. portal system will receive confirmation from your BANK within 2 working days after which it can be checked at the website.